Introduction to Treibball: 6 weeks. If your dog loves to play ball. This new sport is for you and your dog. The goal of the game is to nose or push balls into a soccer type goal within the allotted time. Balls sizes are 45, 55' 65, 75 & 85 cm. Rule of thumb: ball needs to be bigger than your dog at it's withers. The second skill set your dog will need is to get into position in relation to the ball to nose it into the goal. This class will also work on static and dynamic exercise for the canine athlete. Warm-ups for the canine athlete are important before moving at full speed. Skills to be learned are neck flexing, yielding fore and hind quarters, side passing, backing up and turn and go along with circle clockwise and counter clockwise, walk forward, stop (stand, sit or down). 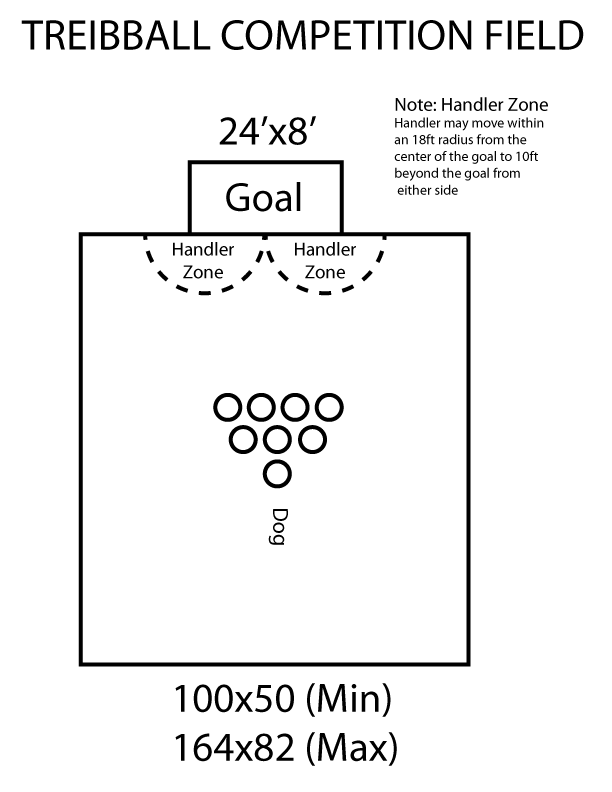 In this class we will combine moving the ball with off lead directional control to play Treibball.